Diskeeper is a powerful defragmentation tool that improves PC performance, reduces PC crashing, decreases system boot-up times and speed up applications launch time. 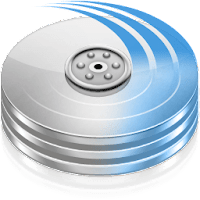 Windows system becoming progressively slower the longer it is used and burdened with more software and data, by using this defragmentation tool you can keep your PC running better than new. With its unique patented engine, the program guarantees large, clean contiguous writes from Windows, so fragmentation is no longer an issue for HDDs or SSDs. This eliminates the “death by a thousand cuts” scenario of small, tiny writes that inflates I/Os per second, robs throughput, and shortens the lifespan of HDDs and SSDs alike. Moreover, It delivers dramatic improvements to Windows system performance with dynamic memory caching - using idle DRAM to serve hot reads without creating an issue of memory starvation or resource contention. Diskeeper is used by more then 100 million users worldwide. Professional - for Business and Enterprise Workstations. Server - For IT professionals, support Windows Server 2008-2016. Diskeeper 16 requires .NET 4. If .Net 4 is not installed on your system, It will attempt to download and install it for you. A reboot is required after installation. Disclaimer: Direct downloads for the lastest version of Diskeeper 19.0.1226.64 are provided by the official software's author, we can't guarantee safety, availability or download speed. Moreover, we don't and we won't provide any pirated/illegal versions or tools. We recommend you to avoid it as these methods can harm your device. If you like the software, buy it to support the developers. (We provide software discounts for many worldwide brands).